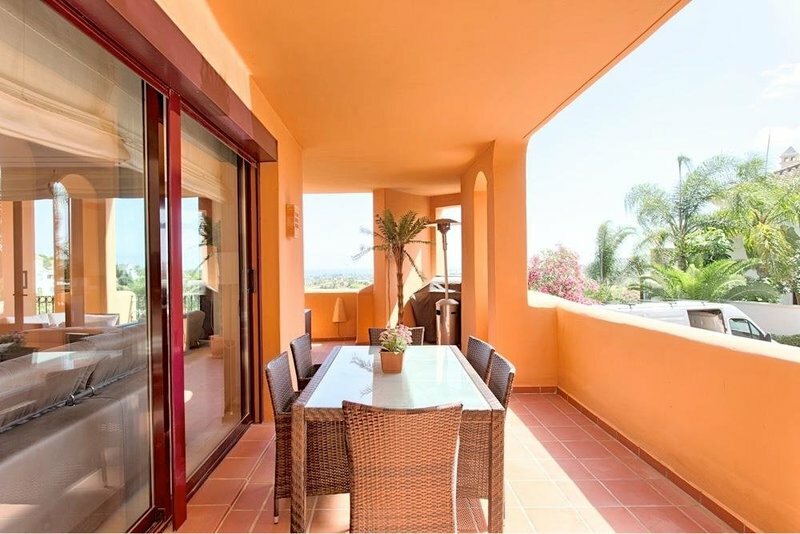 Beautiful spacious bright elevated ground floor apartment with nice views to the coast and the Mediterranean. Corner unit. South to southwest facing. Private and quiet. 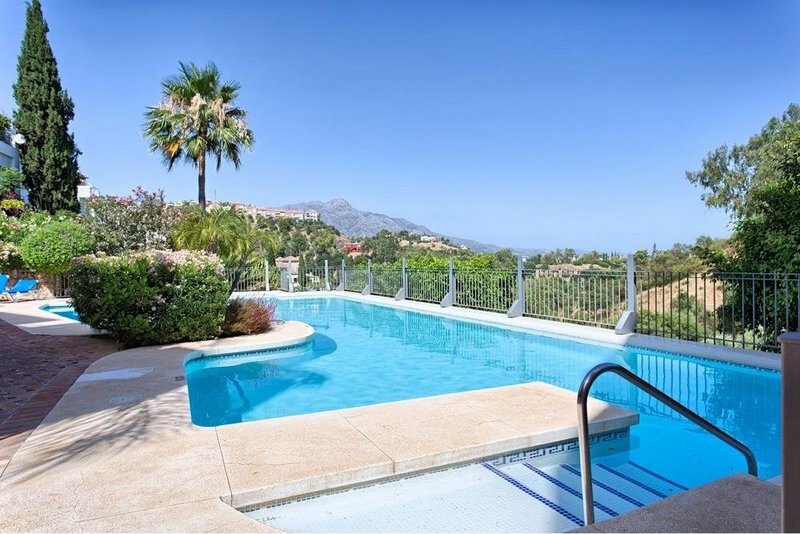 Close to all amenities, golf, beach and Puerto Banus. 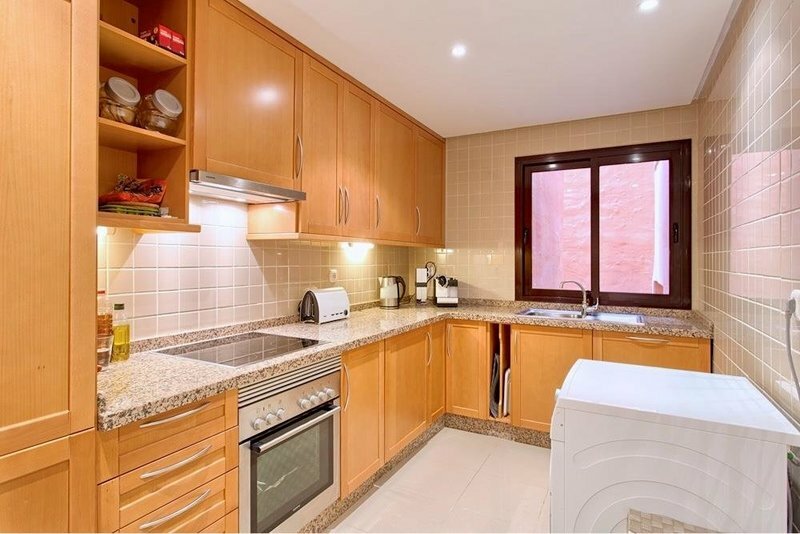 Living and dining area, fully fitted kitchen, master bedroom en suite, two guest bedrooms en suite and a guest toilet. 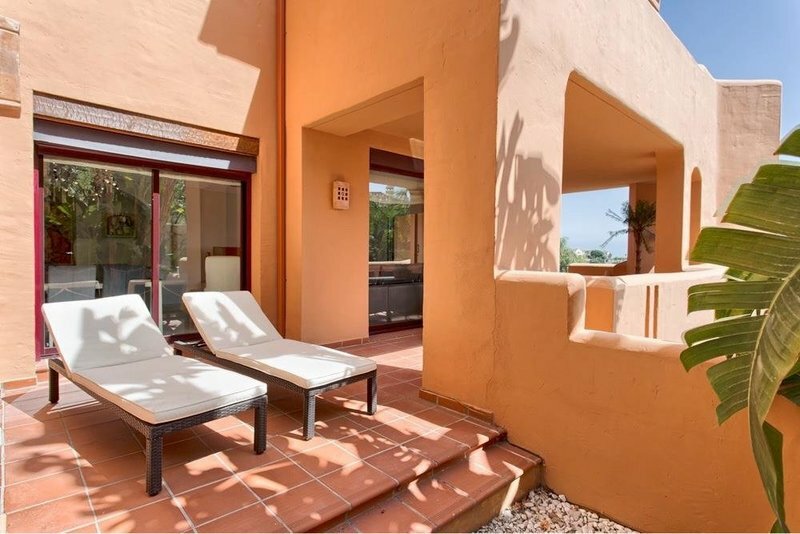 Direct access to a cozy terrace and small patio garden. Very well maintained and nice community with pool and gardens. Cumbre de Los Almendros nestles in the foothills of the Sierra Blanca mountains and La Concha, less than four kilometers above the historical town of San Pedro. 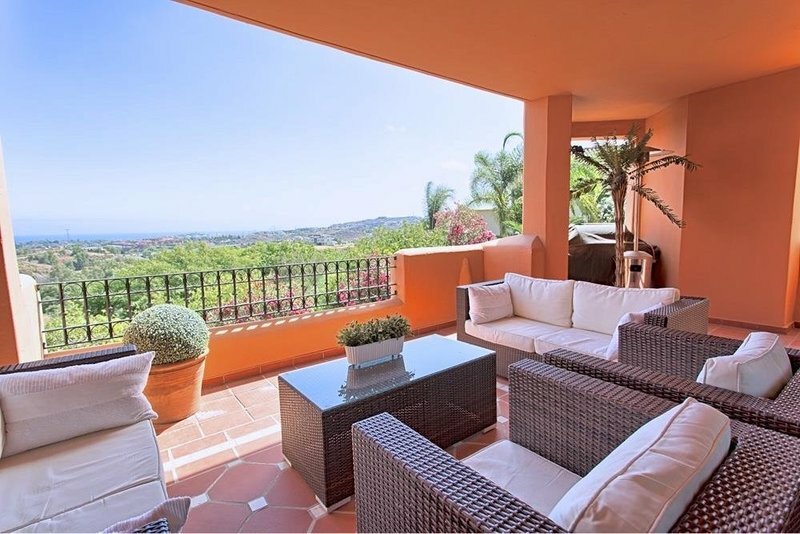 The picturesque village of Benahavis a 10 minute drive. 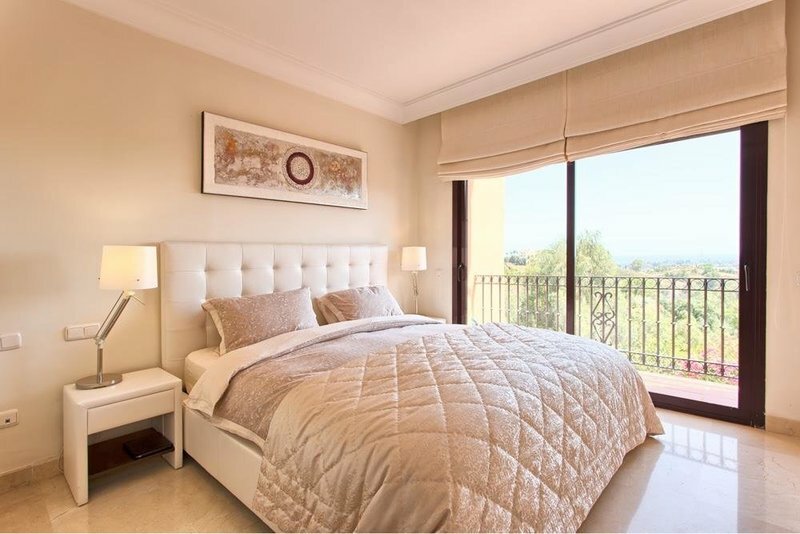 Surrounded by 15 golf courses, it offers the peace and tranquility of the Andalucian countryside yet is only a few minutes drive to the best beaches and the prestigious shopping and leisure centres of Marbella and Puerto Banus. 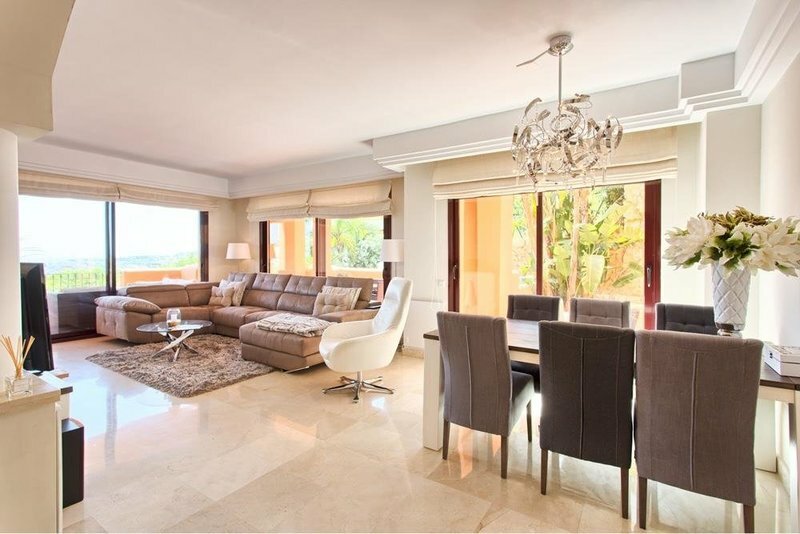 Access to the motorway to Malaga and the Airport is just two kilometers away.